Can you scrap your old projects? A look at a wire wrap system from the 80’s « Adafruit Industries – Makers, hackers, artists, designers and engineers! While taking some time off at the holidays this year, I was cleaning up the Garage and I opened up a box with an old wire wrap system I put together back in the mid 80’s. I could never allow myself to throw this board out even though it is so out dated and unusable, because I put so much work into it. It took me around six months of wiring testing, then adding some more circuitry and testing again to bring this board to the point that it performed something useful. 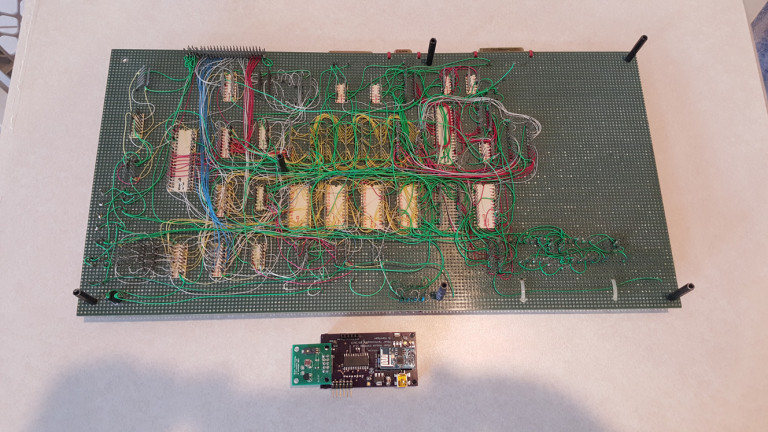 When ever I would stumble upon the board where ever I stuffed it last, I would pull the board out, turn it over and marvel at all those wires and that I actually designed it, wired it and debugged it, then I would toss it back in the box, because I couldn’t bring myself to get rid of it. It dawned on me exactly how hard and expensive it was to build prototype projects back then and how much easier and affordable it is to build them now with so much more capabilities. 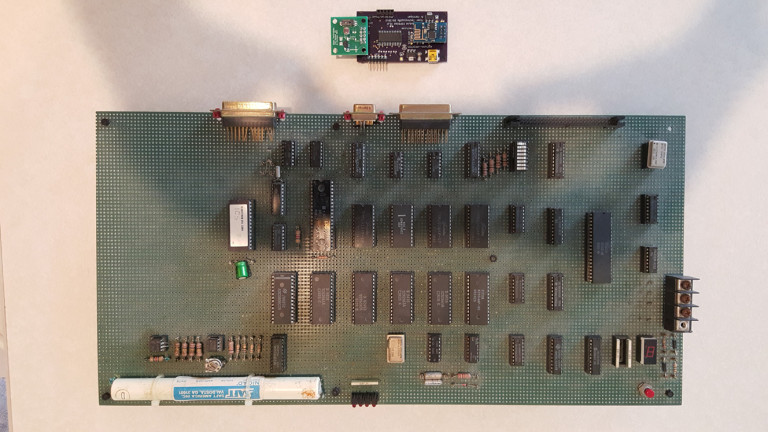 I figured it would be an interesting article to contrast the 80’s with today, and that it is so far outdated now I am finally ready to part with my first major electronics project. So before I tossed it, I thought I should share with my readers a picture contrasting it with the latest rendition of an ESP8266 based version of an Avatar sensor module. I wirewrap occasionally, mainly for prototype circuits. It is more reliable/permanent than a breadboard, but I don’t have to do a layout and have a circuit board made. Before there were breakouts and you had to put ICs into a socket, this was the best way.